Behavioral health and social policy; substance abuse and mental health prevention and treatment for minority populations; the impact of criminal justice involvement and behavioral health outcomes for marginalized adult and adolescent populations; opioid use and misuse among minority populations and access to treatment; criminal justice involvement and SUDs among African American males. Robert Dunigan, Ph.D. is a Senior Research Associate at the Schneider Institutes for Health Policy at Brandeis University. With 15 years experience in clinical social work, and particular expertise in the areas of treatment intervention and program development for individuals diagnosed with chronic mental illness and substance abuse problems, his research focuses on drug and alcohol treatment and prevention aimed at improving the quality of life and health service needs of marginalized groups and individuals. Dr. Dunigan received his Ph.D. from the Heller School at Brandeis University, were he was a recipient of a pre-doctoral training grant from the National Institute of Alcohol Abuse and Alcoholism. 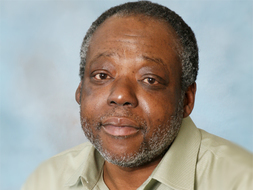 With prior experience working on health promotion for ethnic minority elders with Dementia and their caregivers, while at Harvard Medical School, in the Department of Social Medicine, Dr. Dunigan was involved in an exploratory project that addressed potential barriers to the development and experimental assessment of alcohol risk management and harm reduction programs for minority elders residing in public housing and other congregate settings. Dr. Dunigan was an Investigator on a diversity supplement to the Brandeis/Harvard Center on Drug Abuse Treatment and Managed Care that examined the impact of profiling and incentives of treatment providers for minority consumers. He has been the PI on a Robert Wood Johnson Foundation funded study that examined the impact of substance abuse treatment pre-and post-release from prison and time to recidivism for young African-American and Latino male offenders. Dr. Dunigan was also the PI on a NIDA funded study that examined predictors of treatment involvement and criminal justice outcomes for the general prison population. Dr. Dunigan was an evaluator of two SAMHSA-funded HIV and substance abuse prevention projects addressing these issues in minority populations, as well as an evaluator of CSAT’s homeless (GBHI) program. Currently, Dr. Dunigan is an evaluator for a supportive reentry initiative and the SAMHSA funded Massachusetts’s Access to Recovery project. Dr. Dunigan is also a Co-Investigator of a NIAAA study on Washington circle performance measures and criminal justice outcomes.